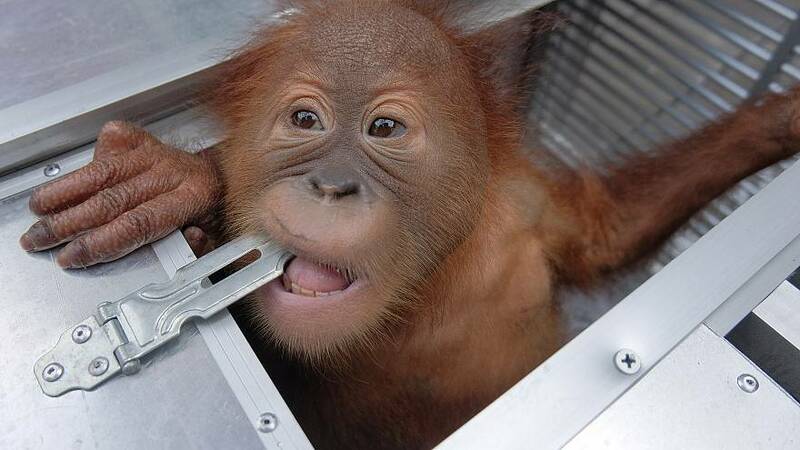 A Russian tourist was arrested by Indonesian police at the Denpasar airport in Bali after they discovered a drugged baby orangutan in his suitcase along with several reptiles. Andreï Zhestkov, 27, was stopped at a security checkpoint before boarding a plane for Russia on Friday evening. Suspicious officers searched his bag after they saw the animals through an X-ray scan. The tourist was trying to smuggle the animals out of the country, said police, adding they found the baby monkey sound asleep after it was allegedly been given anti-allergy tablets. They also found two geckos and five lizards in the suitcase. “We think the (two-year-old male) orangutan was given allergy medicine that made him fast asleep. We found pills inside the suitcase,” the head of Bali’s Conservation Centre, I Ketut Catur Marbawa, told AFP news agency. According to the Facebook post, Zhestkov confessed that the orangutan was bought by a Russian friend in a street market in the island of Java for $3,000 (€2,653). He allegedly wanted to keep him as a pet in Russia. "[Zhestkov] seemed prepared, like he was transporting a baby,” said Marbawa, adding he had packed baby formula and blankets for the monkey. The animals will be handled by the conservation centre. As for Zhestkov, he faces five years in prison and a $7,000 (€6,191) fine for trafficking protected species. Orangutans are an endangered species, victims of poaching, trafficking, and suffer hostility from locals who see them as pests. Orangutans are a critically endangered species according to the International Union for Conservation of Nature — only about 100,000 remain worldwide.